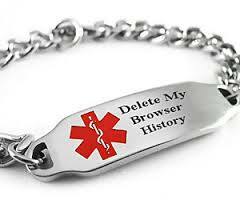 “When I die, delete my browsing history”. This is what many of us want. However, if you’re an iPhone user, this is not going to work. Apple may hide your browsing history but still keep your records in the cloud, and someone (maybe using ElcomSoft tools) could eventually download your browsing history. How could this happen? Read along to find out! No, it’s no a typo :). COFEE means Computer Online Forensic Evidence Extractor, actually. Never heard about it? Then read Microsoft supplies Interpol with DIY forensics tool. Just don’t ask where to get it. We have not seen it either. The Encrypting File System (EFS) was first introduced in Windows 2000 and, as Microsoft claims, is an excellent encryption system with no back door. However, the most secure encryption can be ambiguous. It would efficiently prevent hackers and other illegal intruders from breaking into your system and getting access to your well-encrypted data. The other side of the coin is that both a regular user and a seasoned administrator can lose important data due to unforeseen circumstances. It is also the case with EFS. Check out the success story on how EFS-encrypted data can be recovered (the PDF is 81 Kbyte) with Advanced EFS Data Recovery. Have you ever had to say sorry because you’ve sent an e-mail to a wrong person? Isn’t it an embarrassing situation? Hopefully it wasn’t a confidential e-mail otherwise you may get into trouble. After all it’s typical of all of us. You’ve simply made a stupid blunder to enter a wrong address…or to use AutoComplete. Such things may trigger some unpleasant consequences which is actually a minimal harm AutoComplete can incur. AutoComplete is just another exiting feature that can save your time. It is designed to accelerate computer interactions, facilitate the working process, and spare you the necessity to type in the whole text. Though it was initiated for user’s convenience, AutoComplete represents an ominous threat to the security of your sensitive data.